In my eyes, Yes’ best but final album. Technically, this isn’t Yes’ final album but it is the last one I bought before Chris Squire’s death in 2015. Following the departure of long time lead singer Jon Anderson who was undergoing throat issues and Wakeman who was busy being a grump, Squire, Howe and White looked to former band mates Buggles – Geoff Downes and Trevor Horn, to reform the line up that made Drama a hit. Horn obviously remembered how difficult Squire’s music was to sing when you register no longer reaches the notes of your youth and opted to produce the album instead. At this point surrogate singer Benoît David was asked to join the band, David’s singing style having been recognised by Squire who had seen David’s performances with Yes tribute act Close to the Edge on Youtube. Aurally, Fly From Here is very much in the style of Drama era Yes. 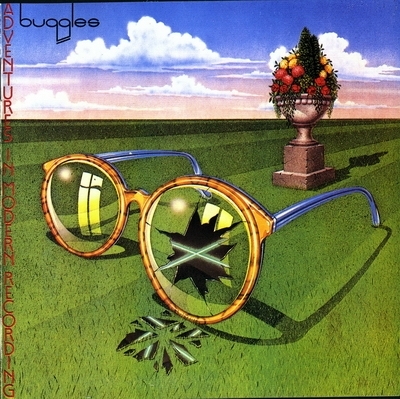 In fact, the song from which the album’s title comes is one that Horn and Downes worked on that almost became a Buggles song before they joined Yes. I really like this sound of Yes. It shows how the band might have developed had 90125 not happened, a richer more illustrative sound with a strong prog taste. The final flourish and farewell, in my eyes, of a band that helped me enjoy music as a developing youth. My only regret being that I never had the free time my youth afforded me to listen to the album on a regular basis. Chris Squire, bass player and founding member of Yes, passed away a few weeks before I began writing this entry. His passing was about to leave a massive uncertainty with the bands future in that how can you possibly fix a giant Chris Squire sized hole in the fabric of the Yes continuum. Then came news that Squire’s colleague and former band mate and Music Project attendee, Billy Sherwood would step up to the plate. 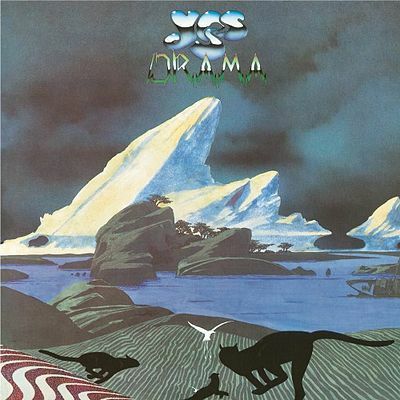 Drama arrived at an interesting point in Yes’ history. Jon Anderson had left the band to pursue projects with Vangelis. Rick Wakeman had gone too, his goal to add ice skating and twiddly keyboards to everything. That left a huge hole in the band. No singer; No keyboard player. What to do? It was about this time that the band met producer to be, Trevor Horn and keyboard jedi, Geoff Downes. You might remember Trevor Horn and Geoff Downes from global supergroup and ground shaking behemoths the Buggles. That’s right, the band that brought you Video Killed the Radio Star. In recognising their potential, Chris Squire invited the two to join Yes and fill the shoes of Anderson and Wakeman and history was made. 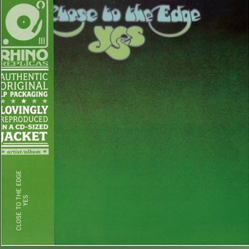 This is possibly my most favourite Yes album. I really wished that the Drama era Yes line up had produced more music like this. 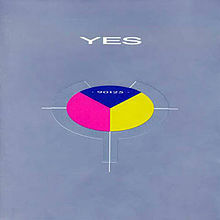 Contrasting between the previous Yes album Tormato and the following 90125 it’s certainly a distinctive sound. Horn struggles to reach the same pitches as Anderson, while Downes seems to lack the fingers to compete with Tony Kaye and Rick Wakeman, yet it isn’t a disaster. There are some songs on the album that were many, many years ahead of their time and it certainly shows what sort of geniuses makes up the band. The first time I heard this album I was blown away. 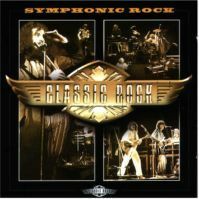 I had it on cassette so I was able to play it wherever I wanted on my Walkman or on my portable hi-fi. One place I played it was on top of a windy rainy mountain in Wales, miles from anywhere significant. It is there where I am transported when I hear this album. Stuck up a mountain. In the wind and rain. Rain pattering onto my hood. Snug and warm in my coat. Listening to this album overlooking fields of sheep watching the rain clouds drift in from the Irish Sea. Getting back to nature. Years later I discovered that the album was recorded in a studio where the band had requested a more “rural” feel. Cue plastic cows, sheep pens and straw being strewn across the floor; Steve Howe stood on his carpet, Rick Wakeman with his cup of tea and Jon Anderson with his tambourine. Prog madness. Prog. No music like it. Close to the Edge comes in with 3 tracks. Not many to the uninitiated, but with track one coming in at just under 20 minutes long and tracks two and three together the same, it’s easy to see why prog is such a good showcase for talent. Think of recent popular music. The likes of Gaga and her ilk with wishy-washy 3 minute jobbies. Trash. It’s like Twitter versus the blogosphere. 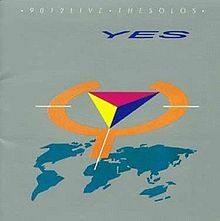 Close to the Edge is Yes’ fifth studio album and last with Bill Bruford (until Union at least). A rich tapestry of musical talent surpassed only by their next studio album, Tales from Topographic Oceans. When this album came out in 1987, I was so excited. Here I was, a teenager, about to hear music from a band that had formed a few years before I was born. New music that was hopefully going to be a lot like 90125. Instead I recorded the album onto a cassette and listened to the tape until I was bored. I still love this album. It shows the direction Yes continued to follow for the next few years. 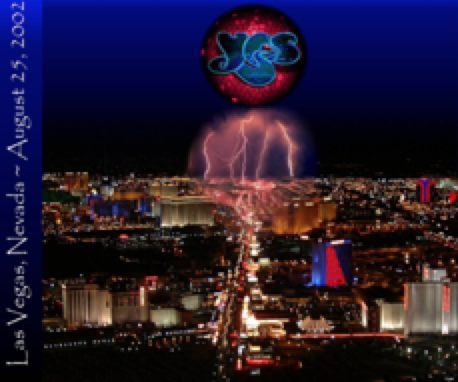 Of course by the time House of Blues came out, I was already getting a bit bored of Yes. Especially as it seemed (at the time) that getting to see them play live was going to be purely a dream. Of course I’ve since seen them several times. 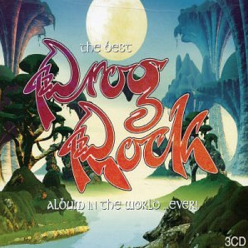 Still, the majority of my favorite songs by Yes are on this album. A lot of longer term fans hate it. I don’t. Fab stuff. ABWH by ABWH is an album that slots in between Big Generator and Union in the pantheon of Yes albums. Oh, yes, you probably won’t be aware of what happened. As frequently happens with Yes, there are often little tiffs between members, some members want to do something one style, while the others throw their toys out the pram and say they want to do it a different way. So what you do in a situation like that? When your older band mates come along and say “Hey, lets make an album?” Well you make an album. Of course the existing member of Yes at the time (White, Squire, Kaye and Rabin) went “Oi! No! Not as Yes you don’t” and so began a long battle for the rights to use the band name Yes. In the meanwhile, ABWH produced an album and this is that album. Jon Anderson, Steve Howe, Rick “Grumpy” Wakeman and Bill “I’ve met Stegzy Gnomepants” Bruford. It’s full of Anderson mystique, Howe and Wakeman twiddly and Bruford boshbishbashing. It’s a show off album. It says “Listen to us! We’re old but we can still do stuff”. Yeah. Its definitely of the time, late eighties, early nineties. You can tell from the tribal and African influences. To me it’s too twee for the time. It’s certainly an album of talent, but it’s like 10 years too late. The style is very Peter Gabriel and you can tell Squire isn’t about because the bass just isn’t as fiddly. Spin forward a few years, the band reconciled their differences and recorded Union. Another pile of tosh. More of that later. More than likely, if you’re over 25, you’ll probably be familiar with The Buggles. 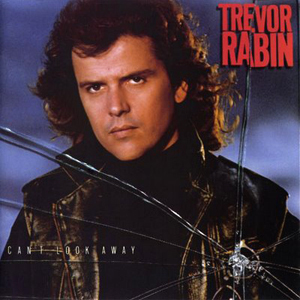 You’re probably also aware of Trevor Horn and his production skills. If you’re a Yes fan, you’ll probably also know of Geoff Downes and Trevor Horn’s brief stint as members of the progressive rock supergroup. If not, you’ll probably go “meh” and skip over this entry. Adventures in Modern Recording is the Buggles’ “difficult” second album. I have the 2010 remastered re-release. Two tracks from which stand out, I Am a Camera, which is a reworking of Into the Lens from the Yes album Drama, and We Can Fly From Here which was later reworked by Yes and appears on their album Fly From Here. As with all second albums, it’s nothing groundbreaking. It’s a nice to have if you’re a Yes fan or you happen to be curious about The Buggles having just heard Video Killed the Radio Star.